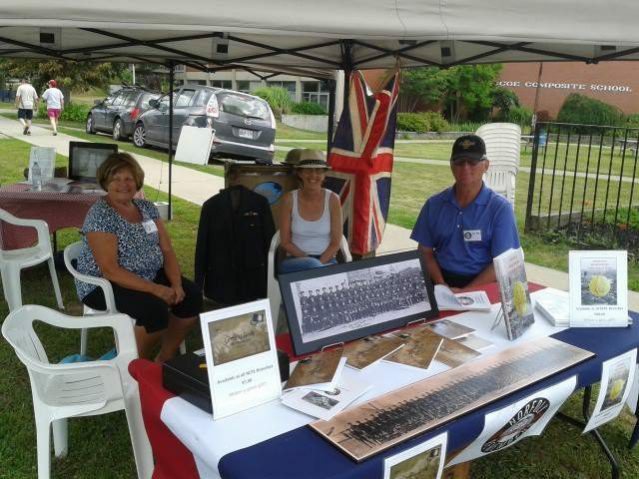 Visit the Norfolk Remembers booth during the Lynn River Festival in Simcoe on July 30 & 31. All publications will be available for purchase along with the limited edition commemorative 133rd Norfolk’s Own pin. Booth is beside the Carillon Tower in front of Simcoe Composite School. 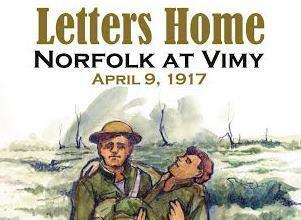 The 3rd Norfolk Remembers book titled Letters Home: Norfolk At Vimy April 9th, 1917 is now available for purchase at all NCPL Branches for $8 a book. This booklet records the letters Norfolk soldiers sent home before and after the Battle of Vimy Ridge, which took place on April 9th, 1917. Now Available! 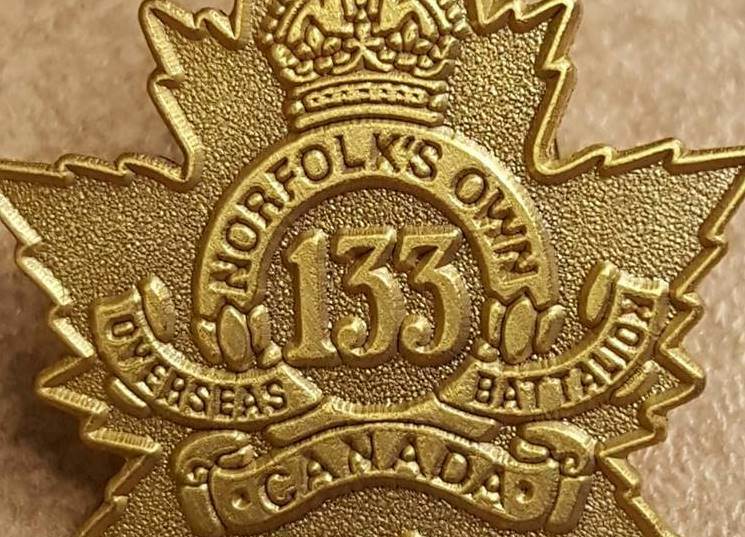 The Norfolk Remembers Committee has recreated a First World War sweetheart pin from an original 133rd Norfolk’s Own example. These pins are available through the Norfolk County Public Libraries and the Waterford Heritage & Agricultural Museum for $5.00 each.